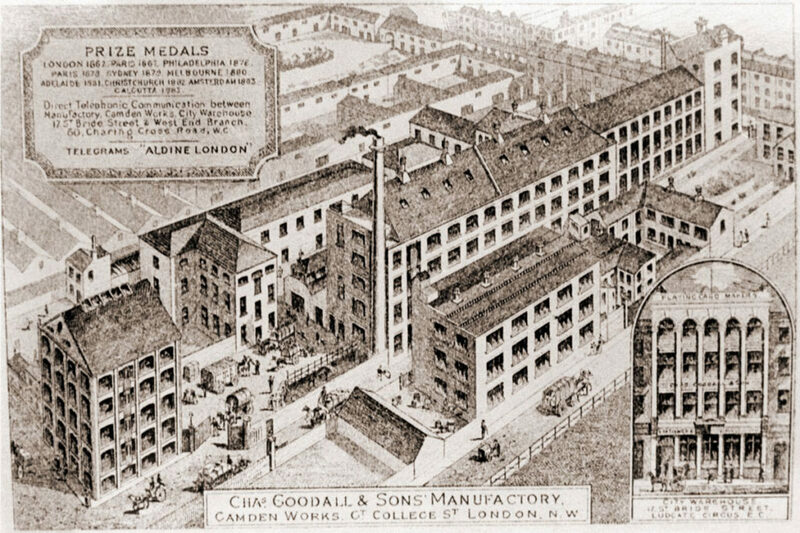 The Charles Goodall & Son empire might not ring a bell nowadays, but their Camden based history still has an ongoing influence. The business, set up by Goodall in 1820, was first based in Soho but moved to Great College Street in 1830. They mainly printed playing cards and message / greeting cards. 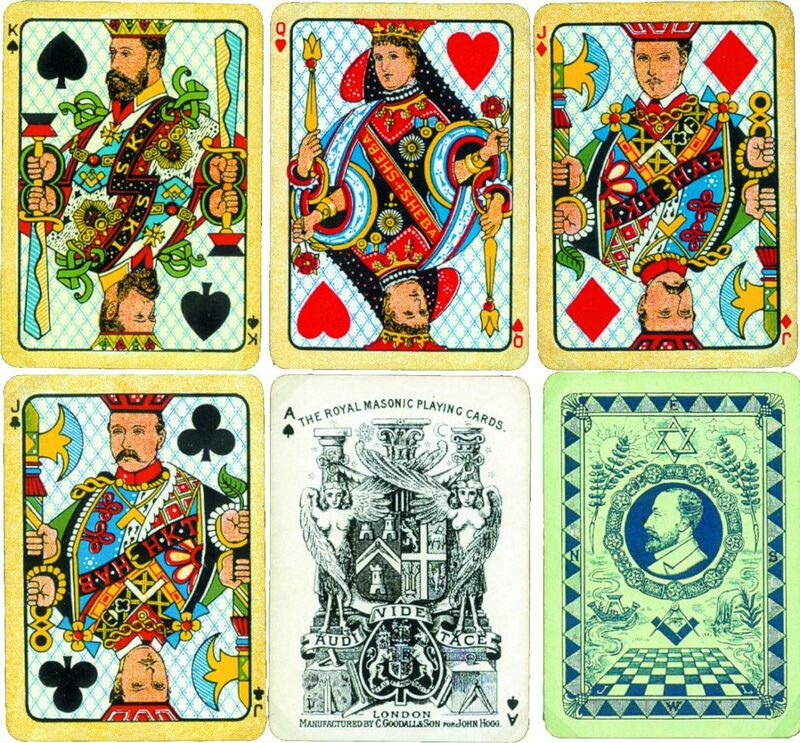 They produced over three-quarters of the playing cards printed in Britain along with their competitor, Thomas De La Rue. They were also the first to mass produce Christmas cards. By 1880 they were producing over 2 million packs of playing cards each year. As a successful company, Charles Goodall & Son found hardship around World War I. The Camden Works, where they were based, was kept open until 1929, but the building got old and run down, and was later purchased by the Post Office. The design of the playing cards remains a classic, and is often copied by modern day playing card makers. The Camden Works at its 1000-employee prime, producing over 2 million packs of playing cards annually. The reduction of tax on playing cards in 1862 gave an immense stimulus to sales. They might be no more, but their legacy lives on. They had a big influence on Camden, with their location and employing many staff, which all added to the area.